With its exceptionally thin and domed profile, Vivid Basic allows lighting designers to create organic shapes for dramatic lighting effects. Its uniform light creates a dot-free seamless effect from start to finish. 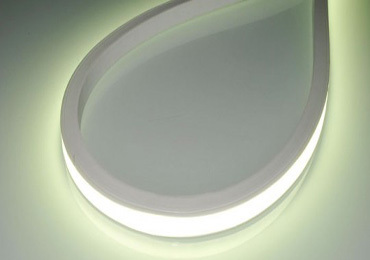 Vivid S LED Neon is a flexible LED lighting product for both indoor and outdoor (IP68) applications. It is perfect for architectural illumination as it provides high performance homogeneous light, ideal for highlighting architectural perimeters and outlines. 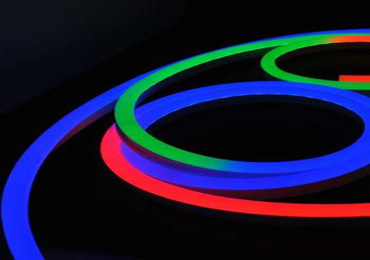 Vivid RGB, LED Neon Flex is the most reliable color changing flexible neon product on the market. 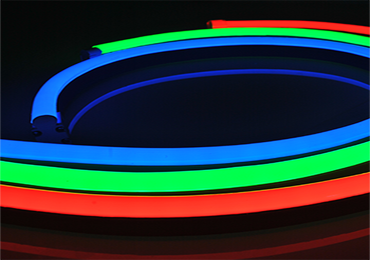 It is the product of choice in flexible LED lights for theater, award shows, or any other commercial application requiring alternating color. Vivid Pixel is DMX Addressable (In-House Programming Available) allowing for advanced chasing and programmable scenes. 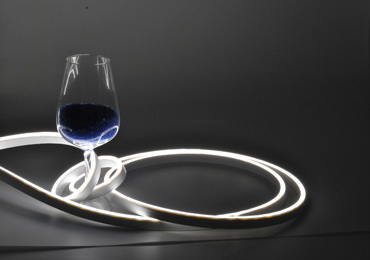 Perfect for creating a stunning visual display and easily creating advanced animated lighting sequences. 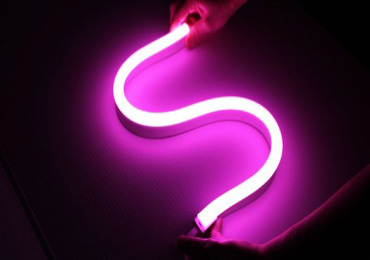 LED Neon Flex Vivid Wave is especially suitable for outline decoration of indoor or outdoor buildings. 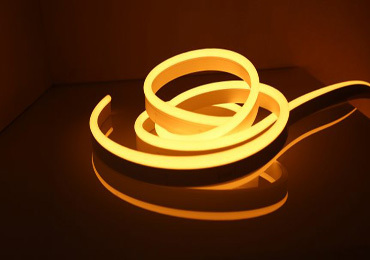 This LED flexible strip lighting is ideal for ceiling grooves, terrace floodlighting and floor and wall guiding lighting. Vivid Contour contains the same technical specifications as the LED Neon Flex Vivid S in a much smaller package. 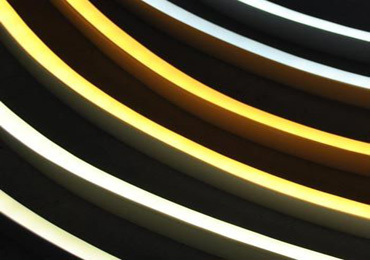 It is our most flexible fixture and is especially suited for commercial and architectural lighting. The perfect accent light for any outdoor space. The flexibility allows you to outline bars, tables, paths, and any other area you’d like to highlight. The way it bends allows for customizable shapes and designs, letting you get creative. Choose either 2500K or 3000K to match existing lighting fixtures. They’re even dimmable! Individuals are at their best when they can control the quality, color, and quantity of light around them. Vivid Dynamic tunable white LED technology unlocks the potential to customize your light sphere replacing a variety of sources as well as recreating the feel of natural daylight with one fixture type. By allowing end-users to change the LED color temperature from 5000K down to 2,500K—and everything in between—while independently adjusting intensity.